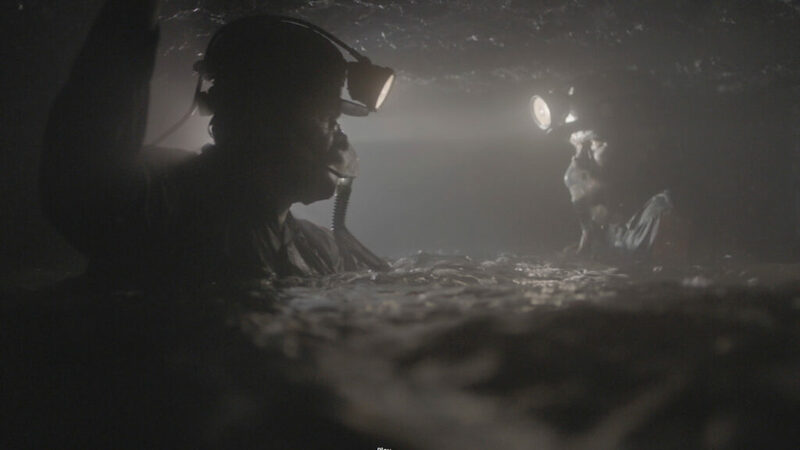 Nine miners go two miles down in Eddie Mensore’s harrowing indie. 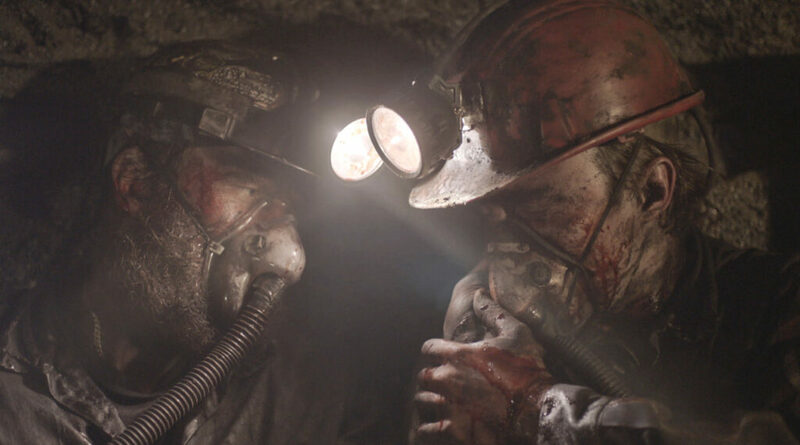 Stripping the typical disaster movie of its contrived and pretentious Hollywood trappings, “Mine 9” is a streamlined thriller that takes you inside a tragedy like few films in memory. It’s a significant movie for a number of reasons. 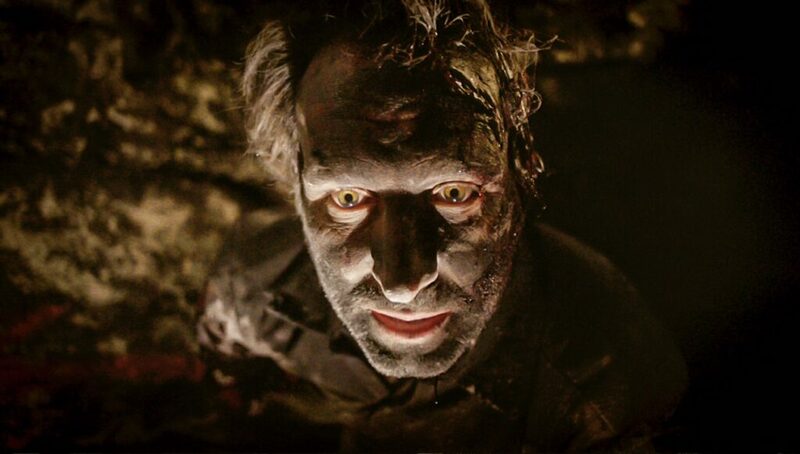 The low-budget crowd should take note: here’s a film about something real, not a horror picture about a group of shapely cavers who descend into the earth and get trapped with monsters chasing them. The monsters in “Mine 9” are all around us. There’s a line from Billy Wilder’s biting 1951 movie “Ace in the Hole” in which opportunist newsman Chuck Tatum (Kirk Douglas) tells his young photographer that when a group of miners get trapped underground, the story often goes no where, but when it’s one man, and a face it put on him, that’s sells. 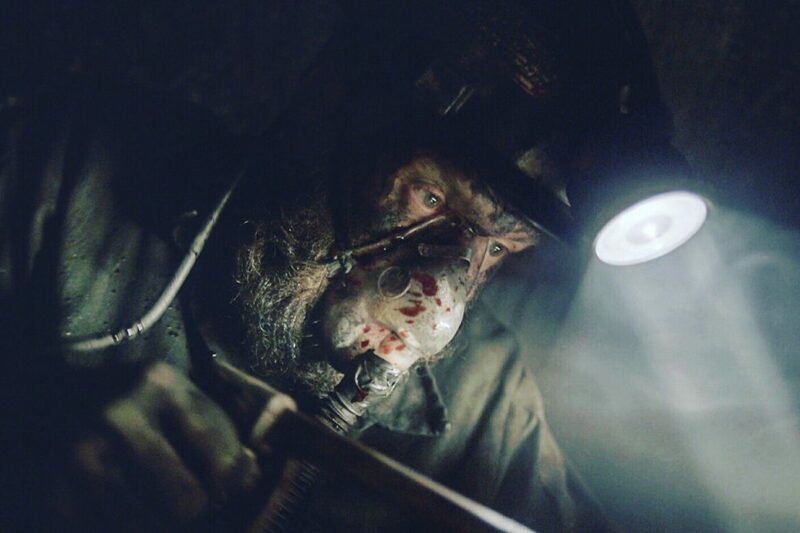 Needless to say, we’ve ignored the dangers of the coal industry for far too long, and a movie like “Mine 9” puts a face on the men who go underground. The cave walls close in as Mensore makes use of claustrophobic visuals. 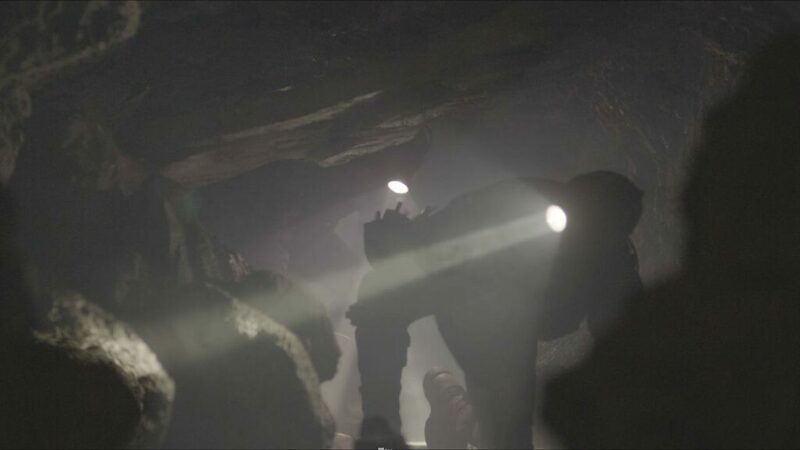 Opening with an impressive series of shots displaying the claustrophobic caves into which miners operate, the harsh, dark, textured visuals hooked me immediately. After a gas scare has the men scrambling to erect curtains in the caverns, they emerge to their working class lives. We see the faces of their families—stern, hard people that are used to the rough life and the on-going reality that some go into the holes and some don’t come out alive. Coupled with shots of the Appalachian countryside, we get infectious music, including songs sung by the miner themselves dating back generations. Writer/director Mensore has steeped his movie in a deep understanding of the culture. Mark Ashworth and Drew Starkey play father and son. After a group discussion, a vote is held, and team leader Zeke (Terry Serpico) goes along with the majority, even if he is against going back in. Zeke is concerned about the mine conditions, but as a longtime miner, surrounded by men who know and appreciate the risks, Zeke relents. And the men know that they are stronger with his leadership. One grizzled, bearded miner named Kenny (Mark Ashworth) convinces his 18-year-old son, Ryan (Drew Starkey) to join them. The boy has little experience, but when he’s confronted by his girlfriend, he complains that he doesn’t even have gas money. Mining is a job, after all, and even though the men and women involved in the business have a passion for it, the almighty dollar is a key motivating factor. So, when the nine do go underground, we are prepared somewhat for the inevitable collapse and struggle to escape. But Mensore, working with his cinematographer Matthew Boyd, on a small budget, smartly makes the film about the faces that confront impossible odds. Shot creatively and mostly in the dark, the visual scope is oppressive and weaves a bleak picture. It’s a remarkable bit of creative filmmaking. 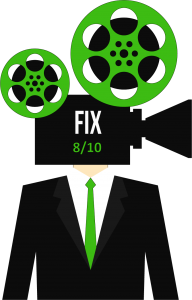 Impressive use of practical effects makes this indie a cut above. Without a dedicated team of actors the film would not have had the emotional impact needed to convince viewers that the crisis was real. Serpico is very good as the leader, Zeke, who consistently maintains order in the chaos. His character’s foil is Kenny, played by popular Atlanta actor Mark Ashworth (see “The Magnificent Seven” remake). Ashworth’s Kenny is a boozer on the edge of falling apart, and his son can’t rely on him. However, Mensore’s script isn’t about stereotypes, and cuts against familiar in key scenes. For example, at one point, a character is tempted to partake in Kenny’s cup, filled with alcohol, but Zeke reminds him of his “chip,” (an AA reference). It’s a small moment, but like so much of this tiny movie, it’s right on target. And when things get ever more serious, it’s impossible to not be moved by the events, that leave you with an understandable lump-in-throat as things draw to a close. 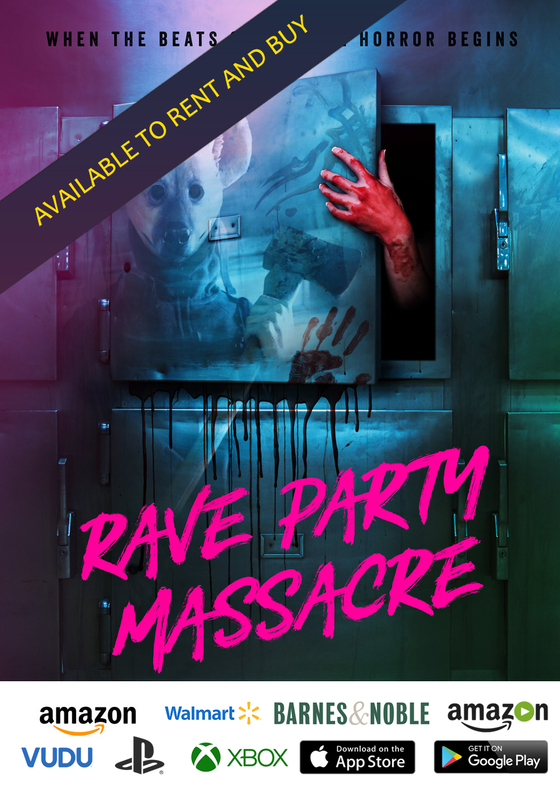 Kevin Sizemore makes a desperate crawl in one crucial sequence. 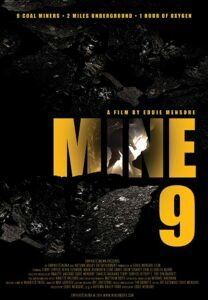 Proving that you don’t need a huge budget and an “A-List” cast to tell an important and thrilling story, “Mine 9” sets the bar high for independent productions. This just might be Mensore’s “Descent.” Let’s hope that when Hollywood knocks on his door, he remembers the strength of story and creativity that made them come round in the first place.